One of our favorites! 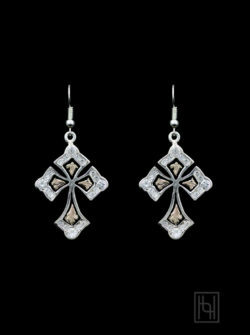 Yellow gold scrolls fill the background of the Budded Cross Earrings w/ Crystal Clear. Silver beads add detail, and a single rose gold flower holds a center stone.